SCRUTTON C. 1995. Northumbrian Rocks and Landscape, a Field Guide, York­­s. Geol. Soc., Ellenbank Press. Lakeland Rocks and Landscape. Ellenbank Press. Minerals of Northern England. R.F.Symes and B. Young For details about the above publication, click here. Exploring the Geology & Landscape of the Northumberland Coast. CROSSLEY C., YOUNG B., CADWALLENDER T. 2005. Pub. Northumberland Coast AONB Partnership with financial assistance from A.L.S.F. by Paul Ensom was published in may 2009. 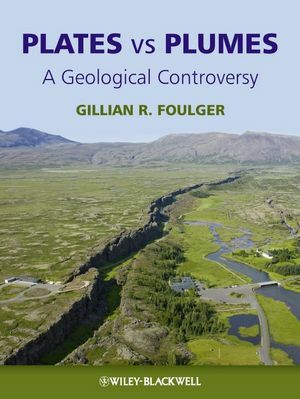 "Plates vs. Plumes". A Geological Controversy. Professor Gillian Foulger, N.E.G.S. University Liaison Officer and winter Lecture Programme Organiser, is Professor of Geophysics at the University of Durham where she has worked since 1985 on earthquake seismology and plate tectonics. She lived and researched in Iceland for seven years, where she acquired a mistrust of theories that do not fit practical observations without distortion. She manages the world-famous website www.mantleplumes.org and is widely acclaimed for leading the global debate regarding the existence of mantle plumes. For this she was awarded the prestigious Price Medal by the Royal Astronomical Society in 2005. This book will be indispensable to Earth scientists from all specialities who are interested in this new subject. It will be suitable as a reference work for those teaching relevant classes, and an ideal text for advanced undergraduates and graduate students studying plate tectonics and related topics. 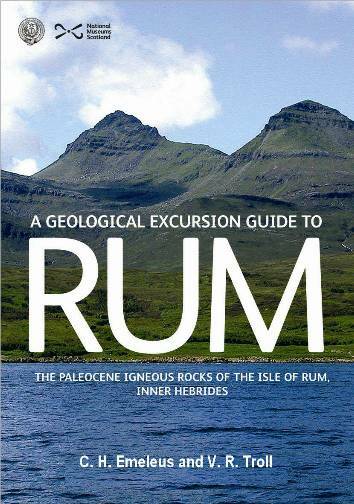 A Geological Excursion Guide to Rum: The Paleocene Igneous Rocks of the Isle of Rum, Inner Hebrides by C H Emeleus and V R Troll. pub. 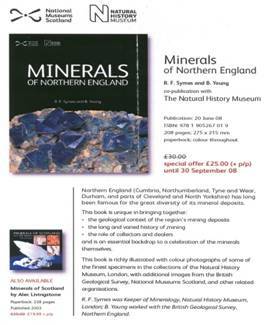 NMS Enterprises Limited – Publishing and Edinburgh Geological Society. Click here for more info. (opens in a new window). This book is a geological history of Britain from over 2,000 million years ago to the present day and describes the enormous variety of rocks, minerals and fossils that form this fascinating island. The modern concept of plate tectonics explains how two separate halves of Britain, divided by 7000 km of ocean 500 million years ago, came together and slowly drifted north from the Southern to the Northern Hemisphere. This journey, a distance of 12,000 km for southern Britain, has resulted in the enormous variety of British rocks that represent, tropical, desert, temperate and glacial climates. 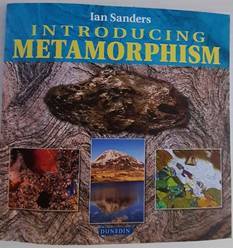 An introductory chapter covers the fundamental principles of geology and is followed by further chapters that describe the rocks, minerals and fossils of the recognised periods of geological time, and the areas where they are found today. 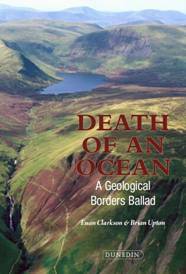 The bo­­ok is written for the lay person interested in the great variety of Britain's rocks and landscapes but also includes a wealth of information for students at all levels. WILSON: Geology: an in depth look at the Yorkshire dales Nat. Park landscape. Yorkshire Dales Nat. Park Authority. BELL R.: Yorkshire Rock. - a journey through time. British Geol. Survey. DAVIS R.V. Geology of Lakeland. Dalesman Publishing Co. Clapham, Lancaster. JOHNSON G.A.L. Robsons Geology of North East England. Hancock Museum, Newcastle upon Tyne. JOHNSON G.A.L. and HICKLING G. 1972. Geology of Durham County. Trans.Nat. Hist. Soc. Northumberland.Vol. 41, No.1 Hancock Museum. ROBSON D.A. 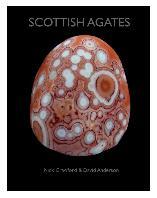 A Guide to the Geology of the Cheviot Hills. Hancock Museum. BRUMHEAD D. 1979. Geology Explained in the Yorkshire Dales and on the Yorkshire Coast. David and Charles, London. RAWSON P.F. & WRIGHT J.K. 1992 (new edition pub. 2000); The Yorkshire Coast. Geologists'Association. SCRUTTON C. 1995. Northumbrian Rocks and Landscape, a Field Guide, Yorks. Geol. Soc., Ellenbank Press. CUMBERLAND GEOL. SOCIETY: Lakeland Rocks and Landscape. Ellenbank Press. MOSELEY F. Geology of the Lake District. Geologists' Assoc. CROSSLEY C., YOUNG B., CADWALLENDER T. 2005. Pub. Northumberland Coast AONB Partnership with financial assistance from A.L.S.F. 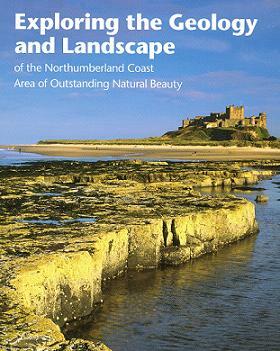 ): Exploring the Geology & Landscape of the Northumberland Coast Area ­of Outstanding Natural Beauty.